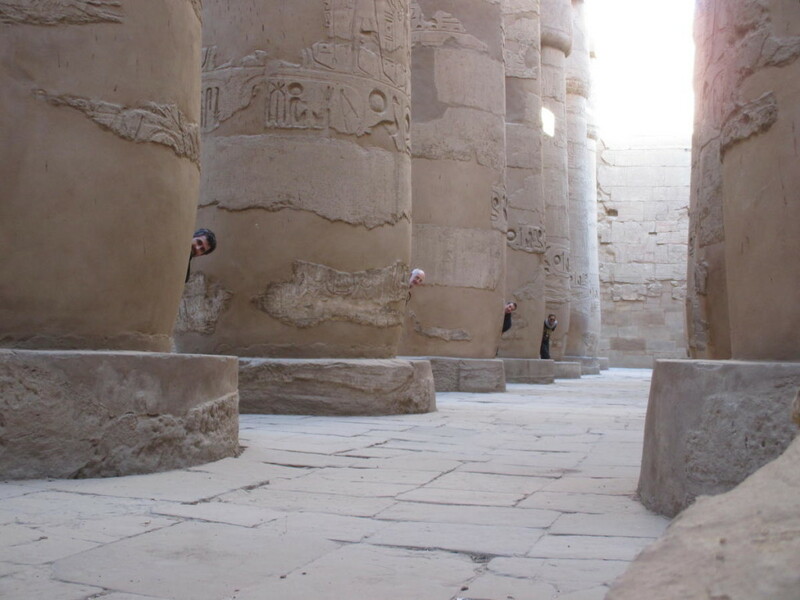 We rested through the morning and in the late afternoon we went to Karnak – the great temple which is essentially in the middle of the city. It is a spectacular ruin and famed for its massive and majestic columns over one nundred and thirty four of them. Returning to the hotel with our new friend Mamout we retired. This entry was posted in 8 Egypt. Bookmark the permalink.